Every year, at the end of September, the sky fills with kites of all shapes and colours. 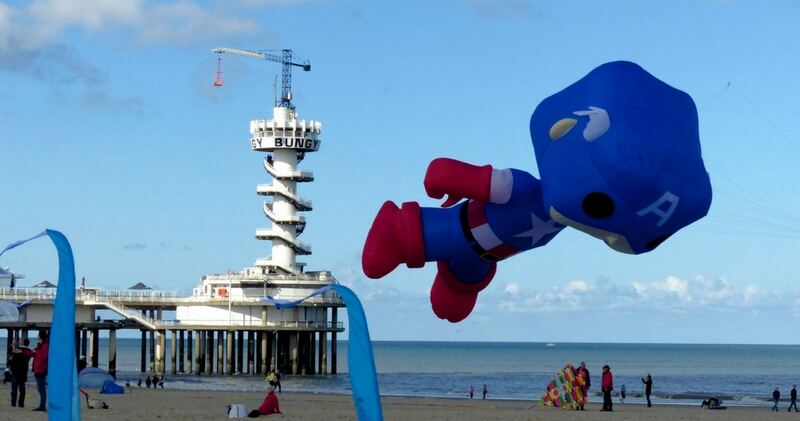 Giant flying teddy bears, a bright orange octopus, a colossal geiko hovering over the beach restaurants – you might recognize them during the International Kite Festival in Scheveningen. 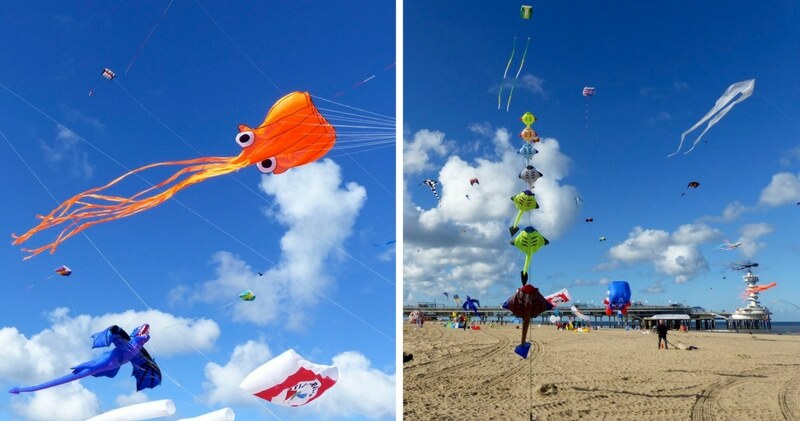 The International Kite Festival of Scheveningen is the largest event of its kind in the Netherlands. Every year it attracts thousands of kite enthusiasts and curious observers to the beach of Schevening. During the last weekend of September, over 200 kite-flyers from around the world perform demonstations and stunts. Some of the biggest and best kite designs will be showcased during this exceptional event. The kites are divided into categories: top sports, sci-fi, culture, science and nature. You will have to discover for yourself which is your favourite! For sure, this is fun for everyone, especially when you see the monstrous whale take off! Many activities will also take place during the weekend such as kite workshops for kids and kite stands for everyone to buy and try out their own aircraft! The focus of this event is also on all kite-related sports. Let’s hope for strong wind to see these amazing creations come to life and defy gravity over the Southern part of Scheveningen beach near the Pier. For more information, go to the official site of the International Kite Festival. 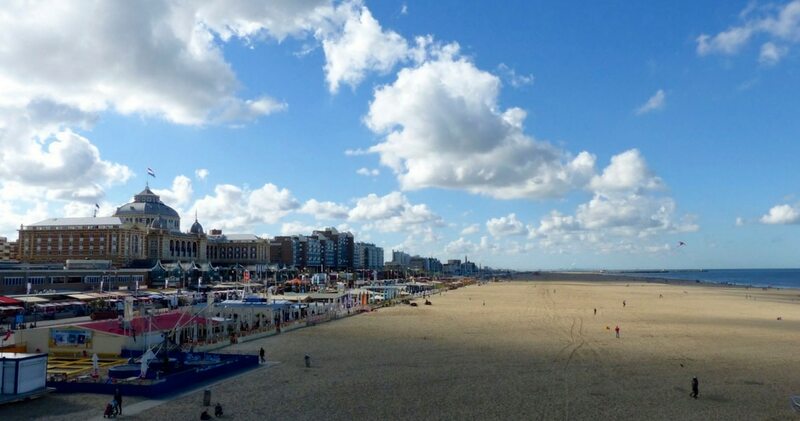 When you are no longer looking up to the clouds, you can enjoy a drink or a bite at one of the many beach pavilions that line the promenade along the shore of Scheveningen. It’s a wonderful way to fully enjoy both the fun event and the great location. Some of the beach restaurants are or become permanent. For example, De Waterreus, elected in 2016 best Beach pavilion in the Netherlands, is now there to stay year round. In March, a huge transformation takes place on the seashore. Over 30 pavilions come out of the sand to stay open until the first week of October. Well actually, they don’t emerge from the ground but out of huge containers. Each has its own identity, cuisine and location. 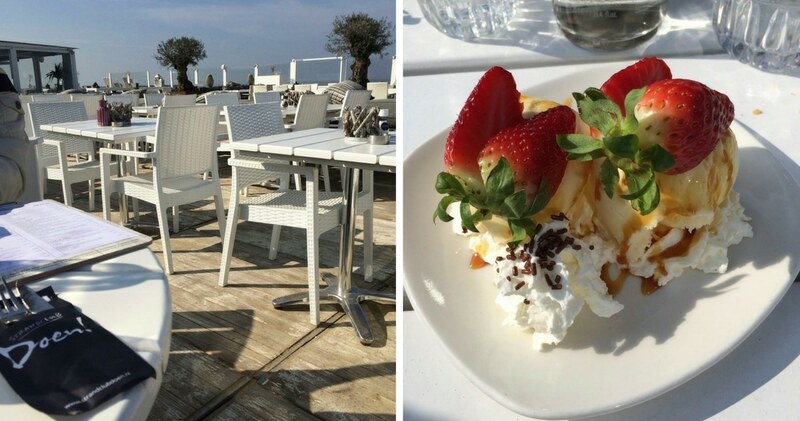 They do have all something in common – a certain Dutch attitude, to enjoy every bit of the sunshine the country has to offer, a distinctive way to savor the outdoors with great confidence. I do have my favorites. DOEN! (Strandweg 9) is one of them. With its cosy and immaculate decor, it is a nice option if you want some quiet and distance from the crowd. Their food is also delicious! I love the relaxed and rugged character of BooNooNooNoos (Strand Noord 15). And who can resist its singing name with its Jamaican vibes! The beach club is actually named after the Boney M song. Very groovy! So don’t miss the season of the beach pavilions. 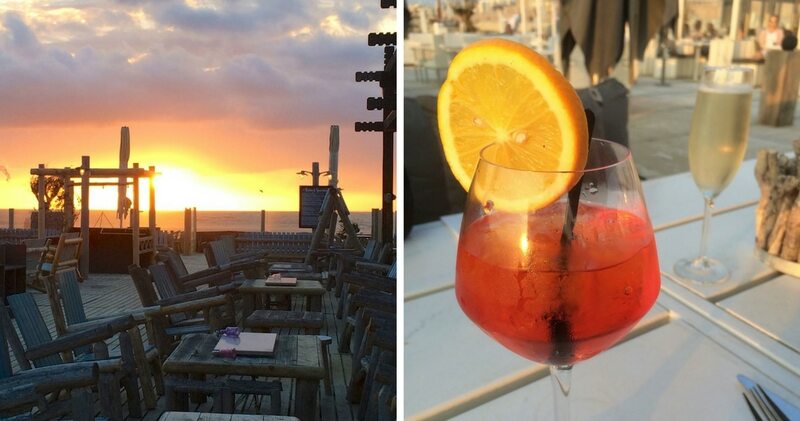 I can’t think of any better way to appreciate a sunny day than head to the beach, sit on one of the beachclub’s terrace, watch the sun go down and disappear in the water, savor a delicious cocktail or admire the fireworks over a nice dinner. So gezellig!